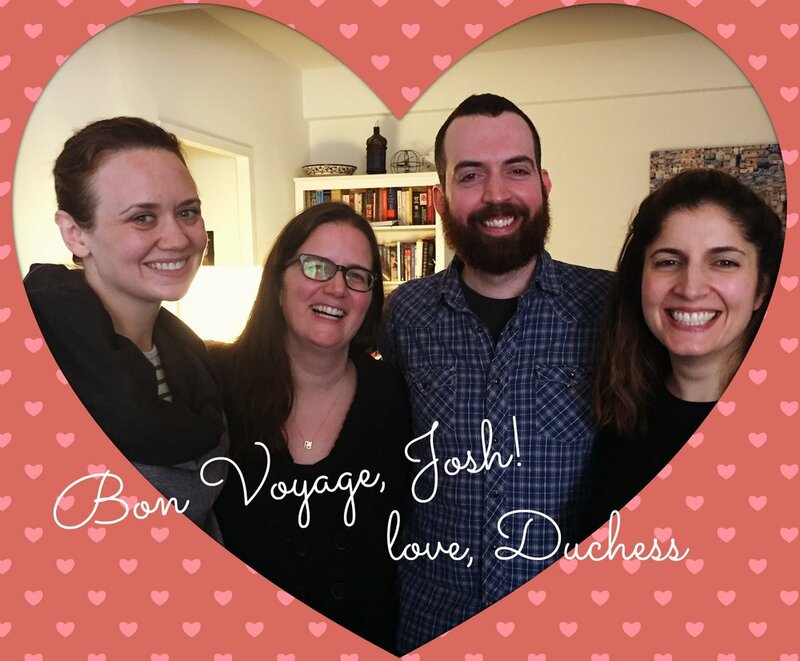 The gals of Duchess bid a very fond "bon voyage!" to our friend (and favorite sound man) Josh Wynn. Josh was responsible for not only the sound, but also some very mellifluous announcing for us at a number of gigs at Jazz Standard over the years. 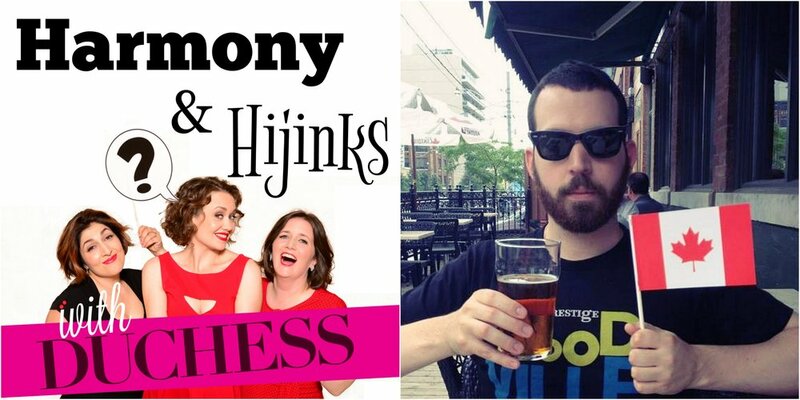 He's now north of the border, starting a new chapter in Amy and Melissa's hometown of Toronto, and we sat down with him for a chat the day before he hit the road. We couldn't send Josh away empty-handed! An indispensable instruction manual, plus "Duchess of Sassytown" socks, because those are indispensable, too. We'll miss you, Josh! And you'll be our first call for sound & announcing whenever we're singing in Canada! This NY Times op-ed by Lindy West might make you applaud, it might make you angry, and it will almost certainly make you think. Here are just a few things that Josh has to look forward to as he begins his new adventure in Toronto! Plaid, Canadian beer, sturdy mugs, and politeness...sounds good, eh?